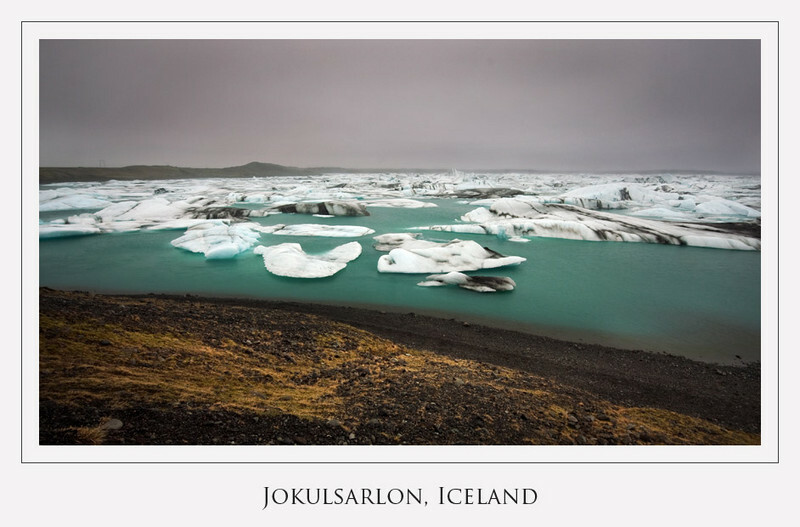 Earlier this year my husband and I went for a 3 week holiday to Iceland. It wasn't quite tourist season yet (it begins in earnest from June), and so we found it most pleasant without crowds of people around. We elected to hire a 4WD and drive ourselves around, which took a bit of getting used to - Iceland is right hand side driving and we live in Australia, which is left! Iceland is such an amazing country. The sheer ruggedness just astounded me every corner we turned. The snows were melting so there were waterfalls everywhere, and combined with the snow-capped mountains, it felt as if we had stepped onto a different planet entirely. With a crime rate close to zero, people were friendly, trusting, hospitable, and we loved it there. Where else do you see people leaving their car engines running whilst they pop into a supermarket?? So here are some photos of a few of the many places we visited. A return trip is most definitely on the cards, most likely in the high tourist season, so we can access the interior. Most of these photos here are of sights that are just off the main Ring Road 1. A glacial lagoon filled with icebergs. There is an option to hire a boat out into the lagoon. On this day we were there, seals and birds were frolicking in the cold waters. It was quite a dreary day and rains were starting but we tried to stick it out, and I was rewarded with this shot after all the other (sane) people had run for shelter. I would have been about maybe 25m high standing on this hill looking down. 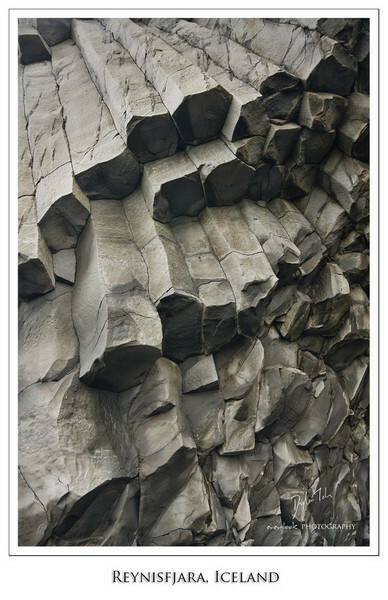 At Vik beach there is a massive stone formation made up of these basalt formations. 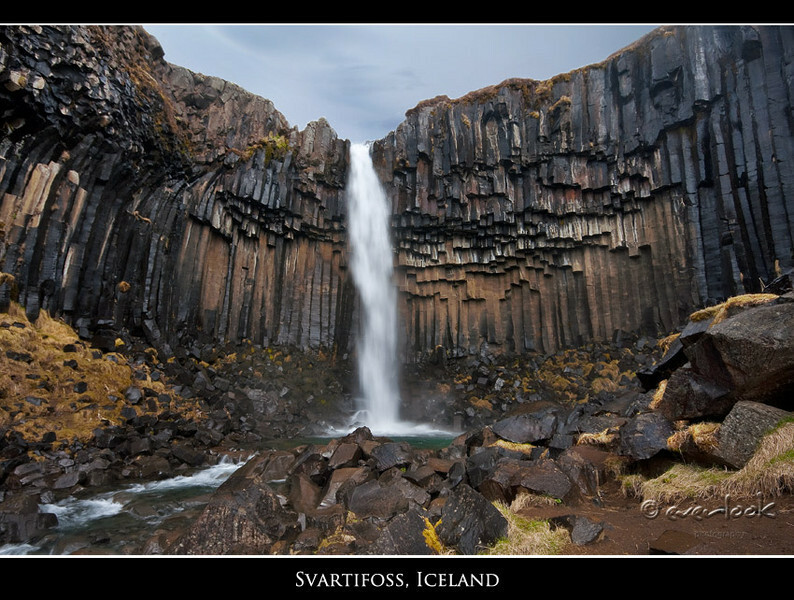 There are more than a few places where these can be seen, none more famous than Svartifoss. Svartifoss is accessible by foot from a carpark within Skaftafell National Park. It is a tourist hotspot and people are now encouraged to bypass these falls as the foot traffic around the base is accelerating erosion in the area. A pity, as these falls are quite spectacular. An impressive 138m high waterfall recognisable by the red rock striping horizontally through the rocks behind it. Accessible off Route 930, and about an hour and a half's walk uphill to get to it. The most active geysir in Iceland. 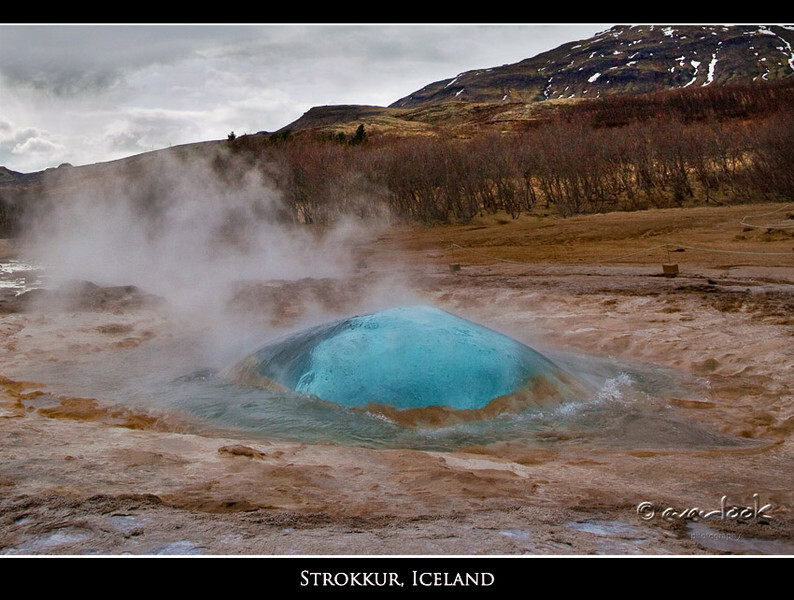 Strokkur will erupt regulary every 5-6 minutes in a shower of hot water that can reach 30m high. Tourists need to be mindful of the wind direction - when we were there a Japanese tourist very nearly had a very hot shower! This image was taken just before the eruption. Iceland has many geothermally active areas, and many 'hotpots' - hot springs - are available throughout the country should you wish to have a dip in one. 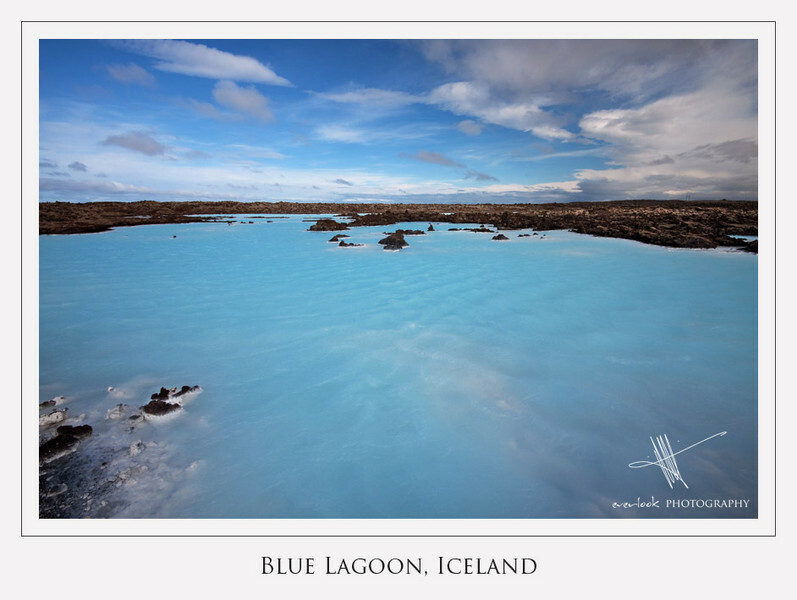 The most famous is the Blue Lagoon (although that actually is made up of approximately 1/3 seawater). At Krafla the geothermal power is harnessed in a power station. A quick drive past the station brings you to Krafla crater where the stench of sulphur fills your nose and the steam can burn you if you get too close. A tourist trap and a right expensive one at that. But it has to be done. And no, you won't smell when you finally come out!! This image was taken outside of the actual pool area. A gorgeous low and wide set of falls that appear to just spill out of the earth from no apparent source. 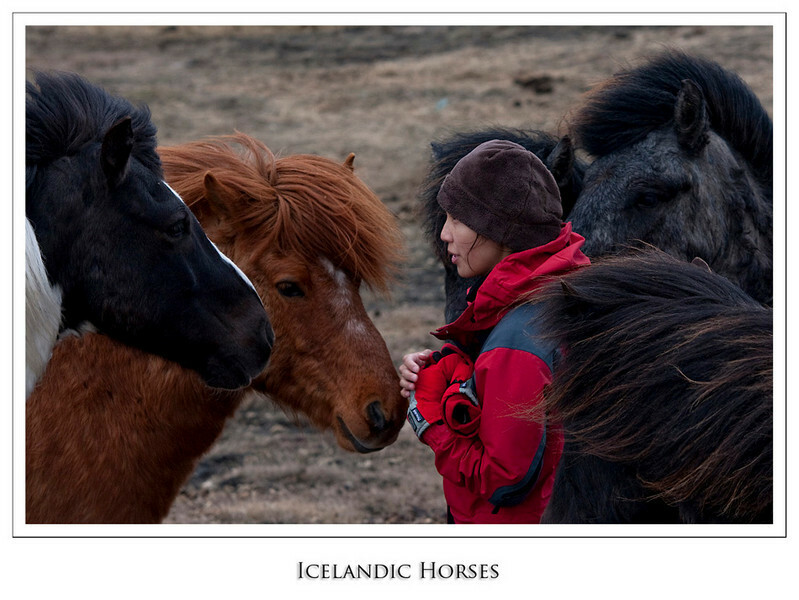 My personal favourite part of Iceland - the horses! Here I am having a conversation as they crowd around me. I'm only 1.6m, so you can see they are almost pony size! Absolutely gorgeous and very friendly. Due to the volcanic activity in Iceland, many of the beaches have small black pebbles instead of sand. There are a few 'traditional' golden sand beaches but by far the most common scene would be something like this. There are just too many images to include, so I have decided to stop here (maybe this is even too long!!) but if you would like to see more please drop by our website. The country really lends itself to panoramas as well, but I hvae yet to put these up in a gallery. Will get to it soon! Thank you so much for posting these photos - they are absolutely gorgeous!! I also enjoyed browsing your gallery. Lovely series of images, thanks for sharing, I especially like the second and last. 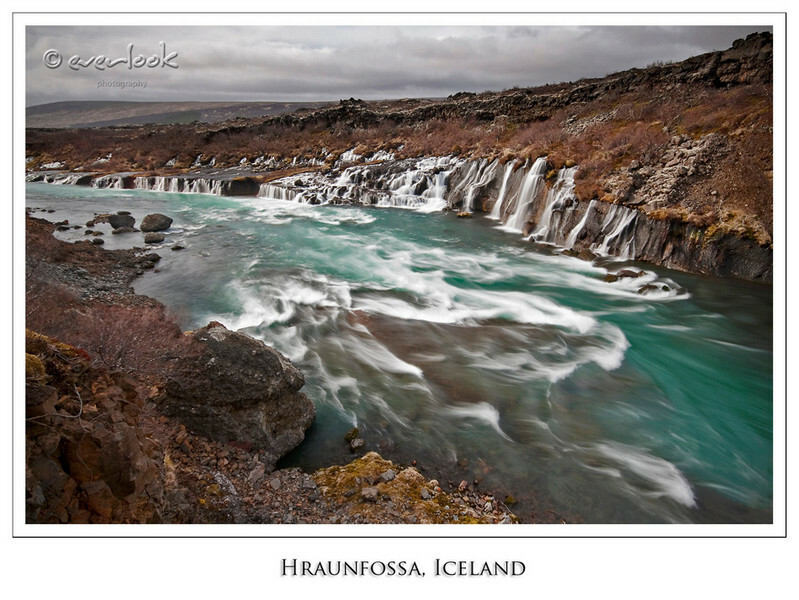 I'd love to get up to Iceland with my camera. very nice series, I enjoyed your photography & story very much! 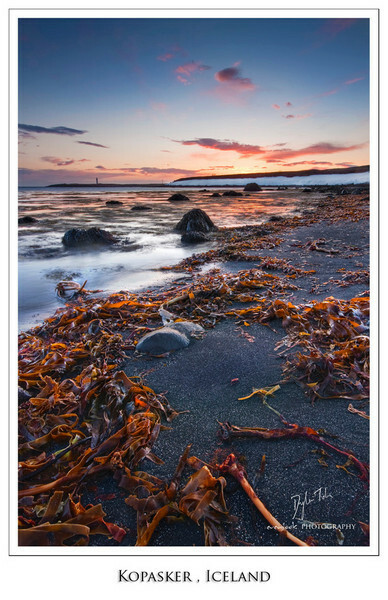 Stunning landscape images in the gallery. 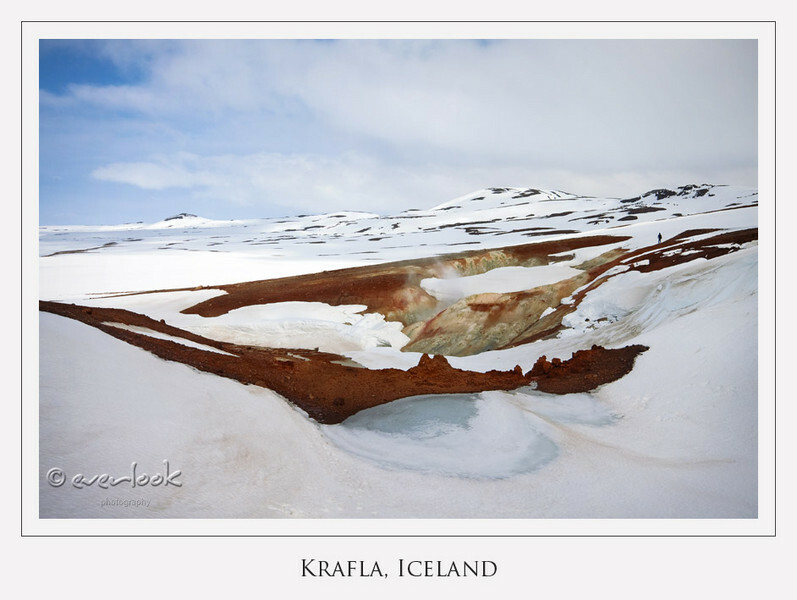 Iceland looks like a landscape photog's paradise. Thanks for sharing. Thanks everyone for your kind comments! It really is a stunning country and very definitely worth a visit if you can make it - most certainly a photographer's paradise, as Cuong said. What a great set of photos! Thank you for sharing these. Excellent series and equally compelling gallery. Great work by both photographers. Only confirmed that I need to move Iceland a bit higher up on my shortlist. Incredible. Definitely on my list of places to go sometime. Just curious, did you try Icelanders famous Hakarl or rotted shark . Someday when I make it there, I got to try this stuff. I heard so much about it. Great shots and sounds like a very fun trip.Looks cold though. Beautiful photos! How was the food? Fabulous photos! I went there 2 years ago also before the tourist season - everything was half price because of it. These photos really are great. I fould everything I took there was so other-worldly. It looked like we were on Mars or something! 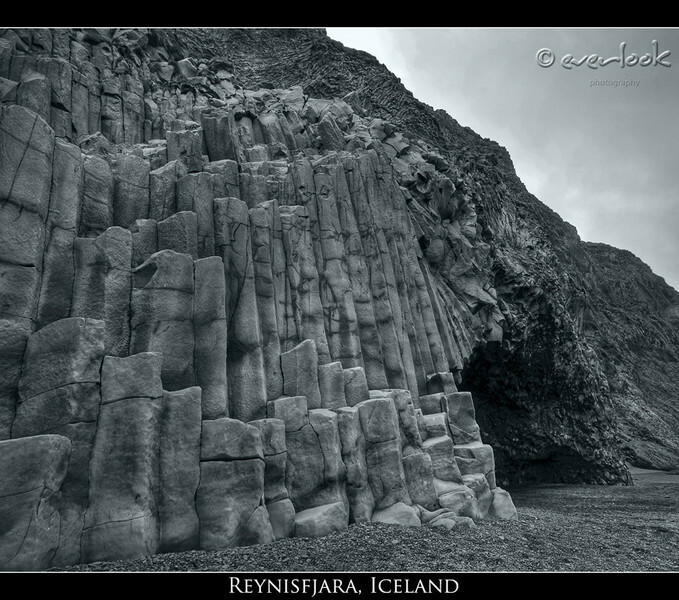 Iceland must be one of the best countries to photograph. Is it allowed to feed horses? Lovely photos! I've always wanted to go to Iceland. I can see by your photos that it would be worth the trip!